The beginning of a new chapter at Marina Bay in Gainesville. "The Retreat" features mountain style cottages & custom homes in a tranquil Lake Lanier community. 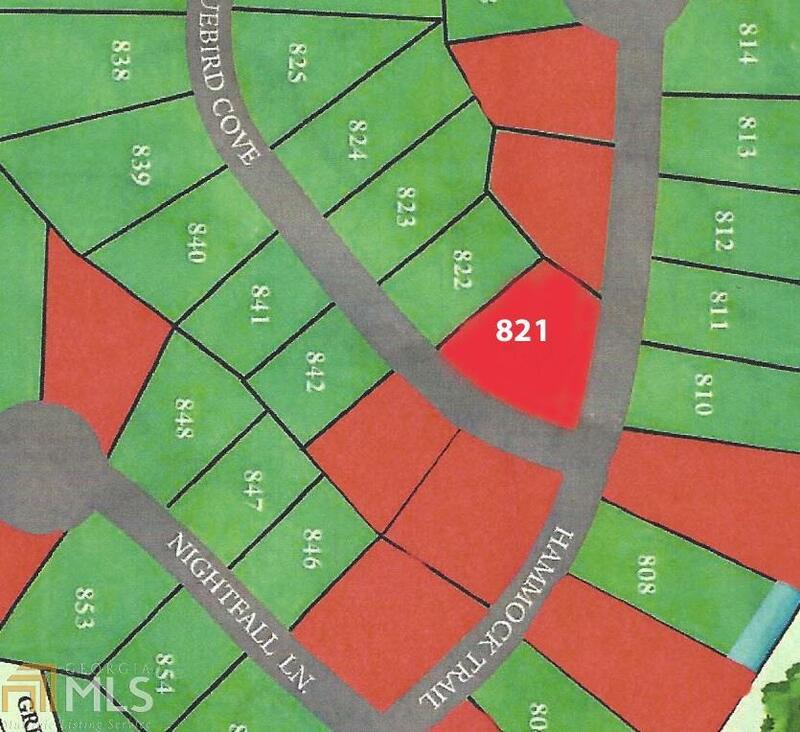 Lot 821 is a gently rising, corner lot which affords the owner multiple options for floor plans. Homes will average $400's & up. On site builder is available or bring your own. (architectural standards apply) Exquisite 2-story clubhouse which overlooks the community pool and has views to Lake Lanier and the Marina Bay Marina. Boat slips are available for purchase with your ownership. Raising a family or empty nesting you will love the Marina Bay community and the friendly atmosphere. Listing provided courtesy of Preston Properties Realty. © 2019 Georgia Multiple Listing Service, Inc. All rights reserved. Information Deemed Reliable But Not Guaranteed.